I’ve always been a from-scratch girl when it comes culinary endeavors. That’s how I learned to cook, years ago, observing both my mom and grandmother in the kitchen. I love to take fresh, wholesome ingredients and combine them in unique ways, in order to create meals that are nourishing and delicious. If you were in my house, you’d seldom find fast food or convenience mixes. But you know what? From scratch doesn’t have to be difficult or time consuming, and I’m all about learning new shortcuts that will produce delicious results. That’s why I’m super impressed with my KitchenAid® Multi-Cooker. This machine is a little workhorse in my kitchen, as it has so many amazing functions. Well-performing functions, I might add. What do you mean? Well, I’m glad you asked! 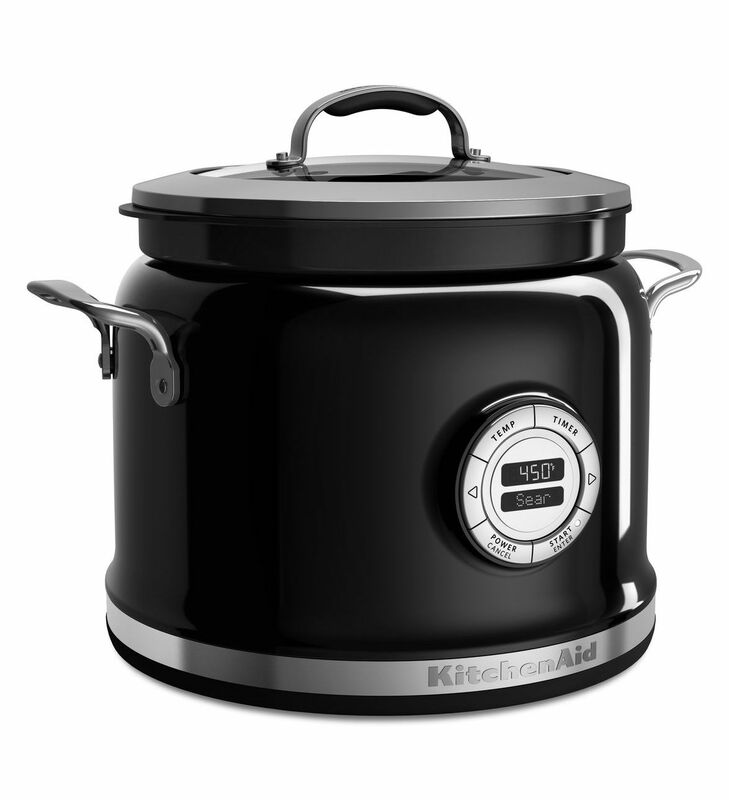 The KitchenAid® Multi-Cooker is appropriately named; it warms, slow cooks (low and high), simmers, boils, sears and also functions as a rice cooker. On top of that, it’s sleek, beautiful and right at home on the fanciest buffet table! I recently created this recipe for Multi-Cooker Indonesian Barbecue Chicken. If you’re not familiar with Indonesian cuisine, it’s vibrant, complex and incredibly delicious. 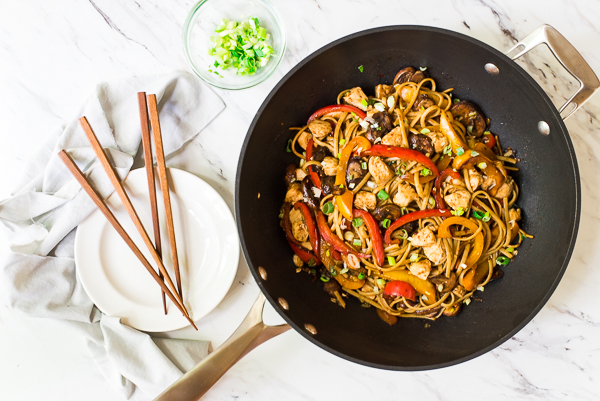 The sauce for this chicken is a perfect example; when you stir it together you’ll be greeted with the most fragrant aromas: fresh ginger, lemongrass and garlic with honey, soy sauce, ketchup and a splash of spicy Sriracha. Start with some boneless, skinless chicken thighs. (If you’re usually a white meat lover, trust me on this one. I tested the recipe with boneless breasts, but there was no comparison in tenderness and flavor.) Trim off any large pieces of fat, then give them a light salting and a shower of freshly ground black pepper. Place the seasoned thighs in the KitchenAid® Multi-Cooker. Don’t they look cozy? If you’re serving a crowd, this machine will easily accommodate a double batch. Next, make the sauce. Simply combine all the ingredients in a bowl and give them a good stir. Then pour it over the chicken in the Multi-Cooker! The sauce will keep the chicken moist and tender as it cooks. Set the easy-to-use digital gauge. On “Slow Cook” the chicken will take about 4-5 hours, on “High Cook”, 2-3 hours. Either way, before you know it, the most amazing aroma will be filling your house! When the chicken is nice and tender, pull it out and let it cool a bit. In the meantime crank up the Miracle Machine (aka: the KitchenAid® Multi-Cooker) to simmer, and let the sauce thicken up a bit. I love that you can do this right in the same pot! 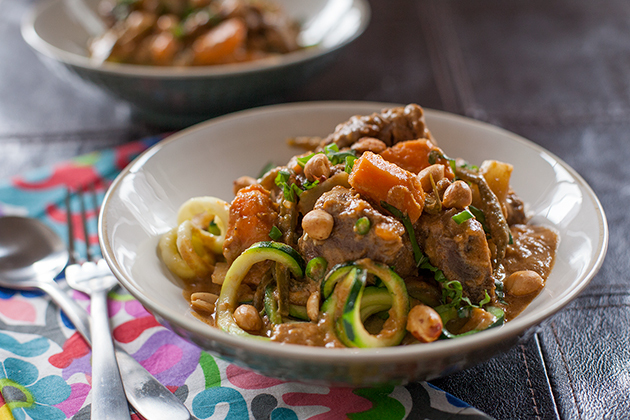 With most slow cookers, you’d have to remove the sauce to a pan and reduce it on the stovetop. Once the chicken is cool enough to handle, shred the meat with two forks. Don’t count on getting a lot of workout points here, since it will be so tender it’ll fall apart on it’s own. Add the shredded meat back into the sauce, stir, serve and enjoy! This Multi-Cooker Indonesian Barbecue Chicken is amazing served over rice, as a sandwich, in wraps, for paninis and on pizza. Pizza? Yes! Use your favorite homemade or purchased pizza dough and top it with the Indonesian Shredded Chicken (about a cup), sliced bell pepper, slivers of red onion and cheese. 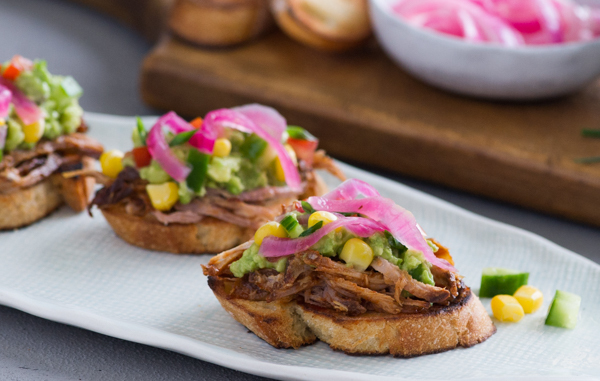 Bake in a piping hot oven and top with chopped cilantro or parsley. Delicious! This chicken also freezes well – I just portion it out in storage containers and I’m thrilled to pull one out on a busy day. It makes preparing dinner a breeze! I’m not sure if “from scratch” has ever been quite this easy before, but I won’t tell if you don’t. And when the rave reviews come rolling in, you can just smile and let them think you slaved all day in the kitchen. 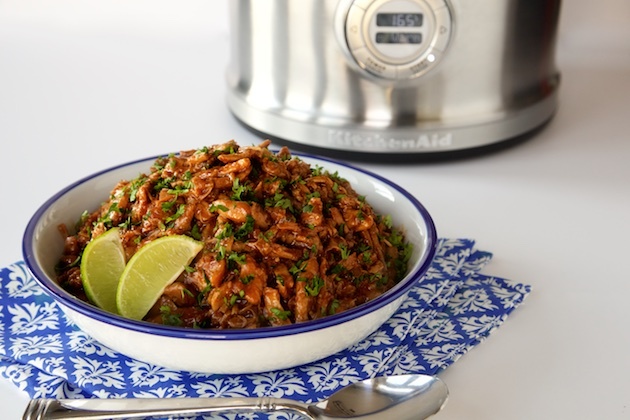 Be sure to share your take on this Indonesian Shredded Barbecue Chicken recipe with us on Instagram using #MadeWithKitchenAid for a chance to be featured. Sprinkle the chicken lightly with kosher salt and freshly ground black pepper. Place in the KitchenAid® Multi-Cooker. In a bowl, mix the honey, ketchup, soy sauce, hoisin sauce, ginger, lemongrass and Sriracha sauce. Stir well to combine. Pour sauce over the chicken. Cover, and cook 2-3 hours on High or 4-5 hours on Low or until chicken is tender and shreds easily with a fork. Remove the chicken from the sauce and set aside to cool. Increase temperature on KitchenAid® Multi-Cooker to simmer and cook sauce for 10-15 minutes, uncovered or until it begins to thicken. Shred the chicken with two forks into bite-size pieces. Return the shredded chicken to the Multi-Cooker and stir to coat with the sauce. Serve on buns for sandwiches, over rice, in wraps and paninis or on pizza. *Both Hoisin sauce and Sriracha chili sauce can be found in the Asian section of most larger grocery stores.